Being convinced that I was a lost sinner, I now believe that Christ died for me so God could forgive my sins. I have now received the Lord Jesus Christ as my personal Savior. 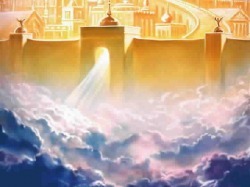 WELCOME TO THE KINGDOM OF GOD!! If you prayed the prayer for the first time fill out form below and we will send you a free Welcome Packet.